GHD, flat irons, straightener, whatever you want to call it, it’s probably one of the most versatile and best investments you’ll ever make for your hair and overall image. So I use my straightener sometimes when I’m short on time and can’t curl my hair with an actual curler or i just want some waves through it. It can be done with either long or short hair. I find with the GHD curls, they give me a smother finish sometimes because the flat iron smooths out the hair cuticles and so it doesn’t’ look as frizzy as when i use a curler. They seem to hold much better than curler curls and ofcourse it’s super quick. At first it will seem a little clumsy but just keep trying and you’ll get there. One. Separate your hair so that you have 3/4’s of your hair pinned up. I just use my thumbs to separate the hair starting from the front and meeting at the back. Pin with the bobby pin or hair clip. Two. Take a section about 3cm wide and take the straighter leaving the top half of your hair straight and twisting the flat iron anti-clockwise and continute to do this motion while pulling your hair the rest of the way. I hold the top of the straightener to help with the control of it while twisting. Do this to all of your tresses. Three. When you get the final section of your hair. I only did a small curl, basically at the end of the hair where i basicially just did one curl. Spritz with some hair spray if you like. Miss Aimmey’s tips: To ensure that you are not get getting straight ends, you can just go back and twist the curl right at the ends by taking the end of it and doing the anti-clockwise motion or clockwise motion, just depending on which direction the hair is curled. If you have short hair, start 1/4 way down from the root as if you do it too far down it’ll just look like flicks. If you don’t want your hair to be too Farah Fawcett looking, alternate your curls instead of all flicking them all out, curl the hair so you twist the flat iron towards you (clockwise). This will create a flatter and less flicked out look. Do you want waves instead of curls?? 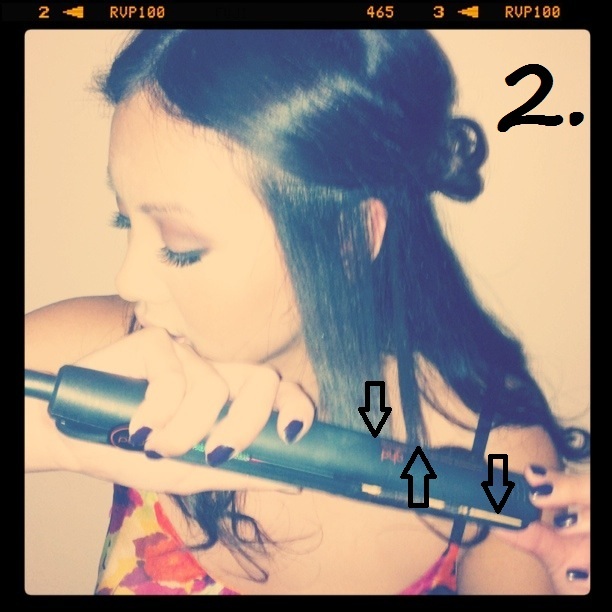 The more you twirl the flat iron, the curlier your hair, so if you want more of a wave, just pull it straight down once you’ve wrapped the hair around the straightener as opposed to continuing to move it in a twirl motion. So if you’ve accidently curled it a little too much just lightly straighten out the curl, so don’t hold the hair too tight between the curler, just slightly straighten the hair. 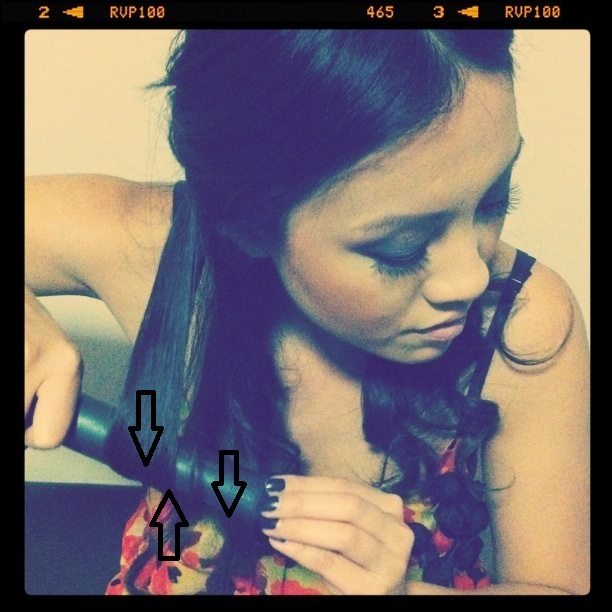 Basically, however you move the straightener, your hair will follow. Hope this helps, I know it can a little hard to get a hold of at first, but just don’t give up! It will be so worth your efforts once you’re done because people will ask, “Did you get your hair done?” and there is no bigger compliment!